Yesterday, I wrote all about our travels to Canada, Australia, India, Russia, France, Mexico, and China while staying home. Thanks to the Passport to Fun programs at Michaels, we had the adventure of our life at the local craft store. In the end, we went to eight of the eighteen countries. We missed two because the boys were still in school at the end of June. Then, I completely forgot about the Egypt day on June 25 and Bahamas on June 28. Luckily, I got our act together in time for Canada and beyond. I wish we had been able to make a few others, but they did not work with our schedules and two did not seem age appropriate for my kids. On Saturday, the program ended with Brazil. What a way to end it making Rio Carnival masks. 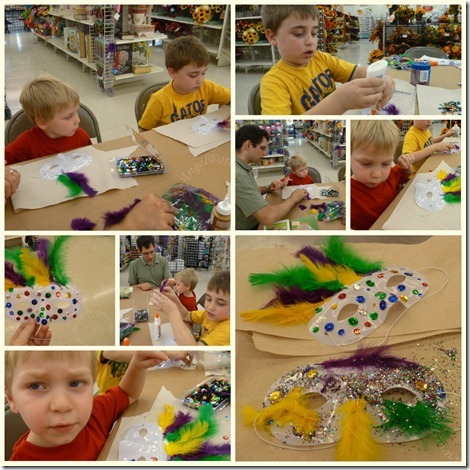 The boys had a blast working on these with all of the glitter, feathers, and sequins. Of course, while in Michaels we HAD to check out other items. TechyDad looked for a case to house his grandfather’s old telescope in. Both of the ones in stock were cracked, so we are waiting on that. Then, we looked around for ideas to use for NHL’s 8th birthday. NHL has said that he wants lions and other animals as the focus. We chatted about it while walking around and came up with a safari theme. Seems perfect since he loved the Safari at Disney’s Animal Kingdom. I know one day I would love to take him on the African Trek I went on. While checking out the Wilton cupcake making supplies, we wandered over to their chocolate mold section. NHL fell in love with some things there. TechyDad thought they were really interesting and said we should use our coupons and pick them up. So we did. Don’t these look fun? 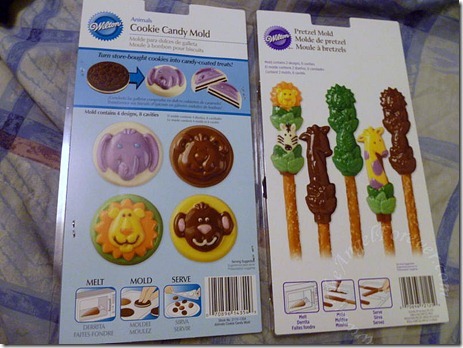 So we will be making the Oreo/Pretzel molds to go along with some kind of lion cupcake. Do not think there will be time to paint the chocolate and make it pretty, but it’s still fun and something the kids can help with. 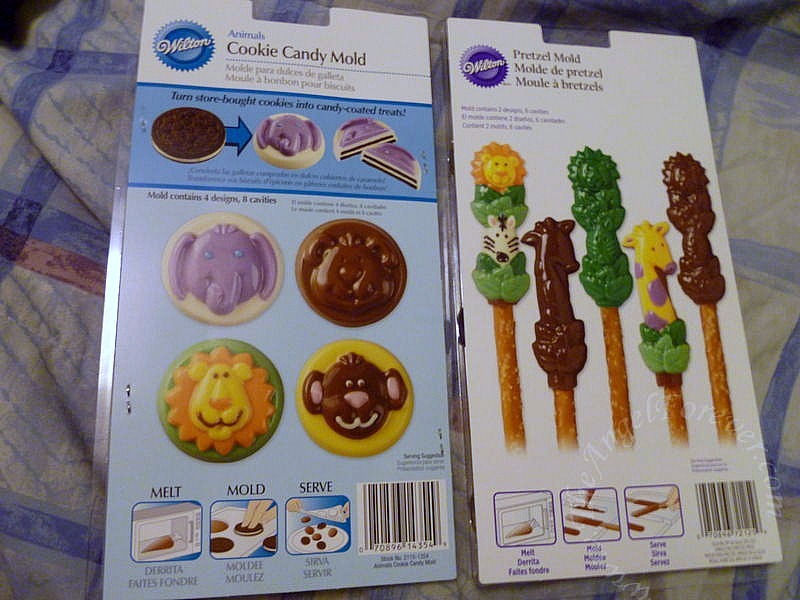 If you have any lion cupcake suggestions – I would love to know. What have you been up to this weekend of July?